Well that was one hell of a summer but The Church saw us through it. This video of Festival highlights will get you nostalgic and excited all at the same time. Be sure to head down to Electric Brixton on Saturday 31st October for a twisted evening of Halloween festivities. The video is made by Eva Pentel, who was Rankin’s right hand lady for some time, and now does a lot of amazing band photography so great to have her onboard. Nominated for the Welsh Music Prize alongside Catfish and the Bottlemen and Joanna Gruesome, Houdini Dax are going to be celebrating their way through the country with a string of new dates. Starting at new music festival Swn in their native Cardiff, the guitar trio will be visiting Newport, Winchester, London and Birmingham playing songs from new album ‘Naughty Nation’. To catch them near you, check www.houdinidax.com for tickets. It’s time all you sinners went back to church. To a service where party is the new praising, where you’ll be baptised in absinthe and made to dance with the devil himself. 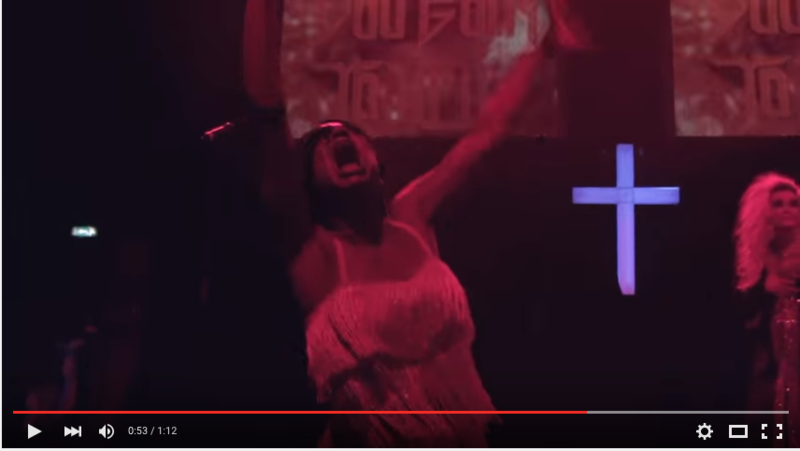 Hell, even Jesus get’s down and dirty at this show! 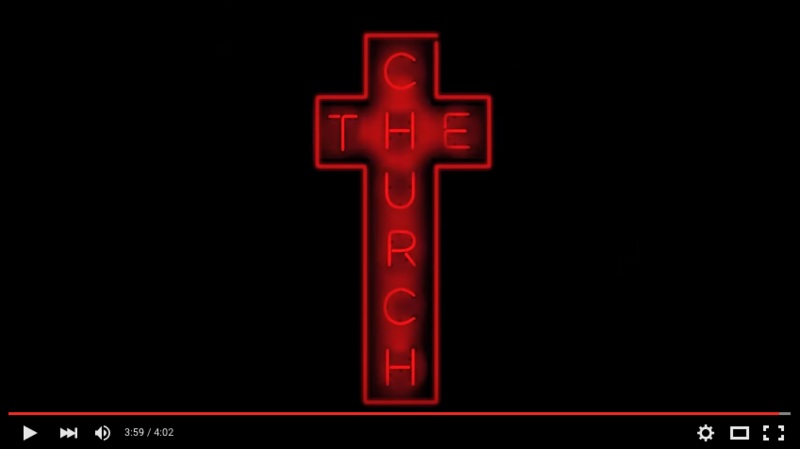 ‘The Church‘ is a raucous interactive party experience and parody of a Deep South Pentecostalchurchbrimming with the best soul, blues and disco tunes. Since it’s premiere in 2013 the show has lit up stages at numerous festivals over the past two years including The Secret Garden Party, Isle of Wight Festival, Bestival and the Edinburgh Fringe and looks set to continue it’s Divine Mission in 2016 and beyond, picking up followers and converts at every show. Think Sister Act on speed! Check out the new trailer, below, fusing music, dance, theatre and comedy and you might even spot yourself being converted! Come and kiss the ring of redemption, get ready to Sin, be saved and then Sin all over again in this holy and hilarious hootenanny. 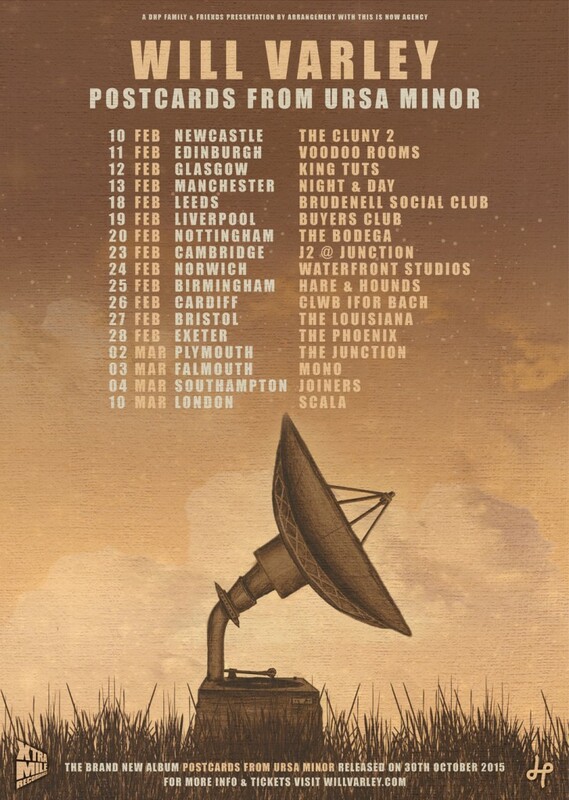 With forthcoming tour with said label mate and champion Frank Turner in November 2015, Will Varley will then be heading out solo in February for 17 UK dates up and down the country culminating in his biggest headline show to date at London’s Scala on 10th March. This headline tour follows a jam-packed couple of years for Will who has played at The Royal Albert Hall for the Teenage Cancer Trust, headlined his own spring tour earlier this year, played dates with cult legend Beans On Toast, released an EP, and spent a summer supporting The Proclaimers across the UK as well as festival appearances at Bestival, Secret Garden Party, Green Man and BoomTown amongst others. 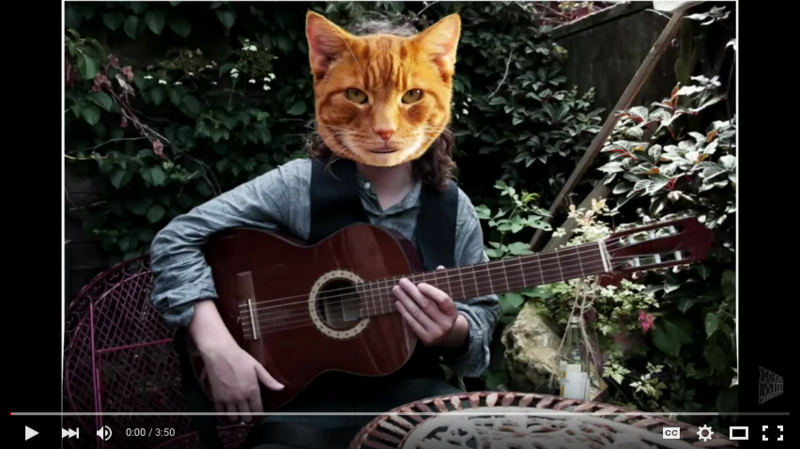 Produced by Tristan Ivemy and mastered at Abbey Road by Frank Arkwright (Arcade Fire, Blur) ‘Postcards From Ursa Minor’ is a master-class in song-writing that pushes the boundaries of the ‘one man and a guitar’ format. From rowdy drinking songs with sprawling chaotic arrangements to his sparse solo performances he covers a range of subjects with his trademark sprinkling of social commentary, politics and wry humour. Playing three sets across the weekend in addition to hosting the main stage on Friday afternoon, Bestival was a particular highlight of the Too Many T’s festival calendar. You can now get rare insight into what a festival entails for the dynamic duo as they release a backstage video filmed over the weekend by the wonderful Emil Walker. Watch the full footage below.